Happy Wednesday, lovelies! First off I need to say that I am so amazed by the creative women who have come together to help make this Maker Series a dream come true. I am so honoured and blessed by the friendships that have come out of talking with other Makers. It is so inspiring and so rewarding. 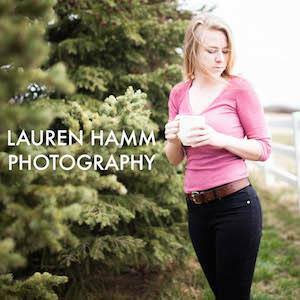 I first was introduced with Laura on Instagram and fell in love with her art work. I am so happy that she wanted to be a part of this series and I hope that you all enjoy a glimpse of her every day. Hi! 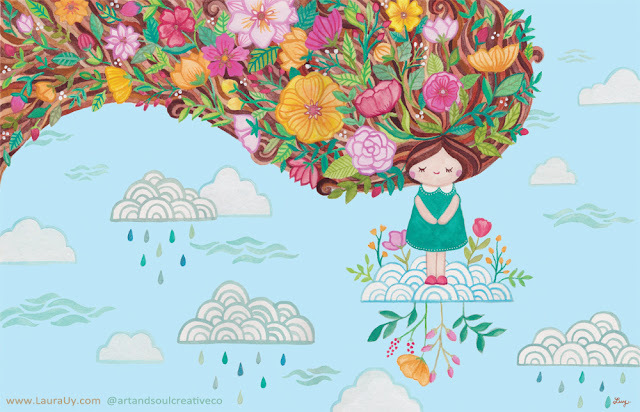 My name is Laura Uy and I'm the artist and illustrator behind Art + Soul Creative Co. My style is often described as bright and whimsical - I like to paint a whole random assortment of things - like cute food characters, nature, florals, and animals. I especially like to transform ferocious animals like (lions, tigers, and bears) into gentle, magical creatures in my paintings. 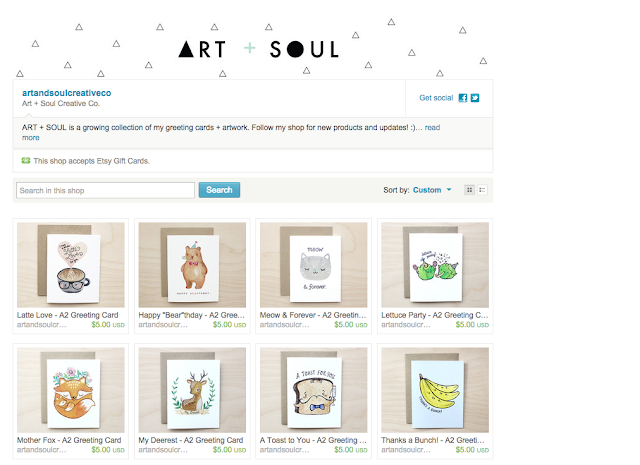 Currently, I sell my art in the form of greeting cards, art prints, and original paintings. I always love seeing little "behind-the-scenes" shots from other creatives so for this feature, I decided to show you all a sneak peek of my life as an artist! In the morning, I try not to hit snooze 100 times as I reluctantly crawl out of bed. I'm not a morning person so it's tough to wake up, but when you have a day of creating to look forward to, it's slightly easier. 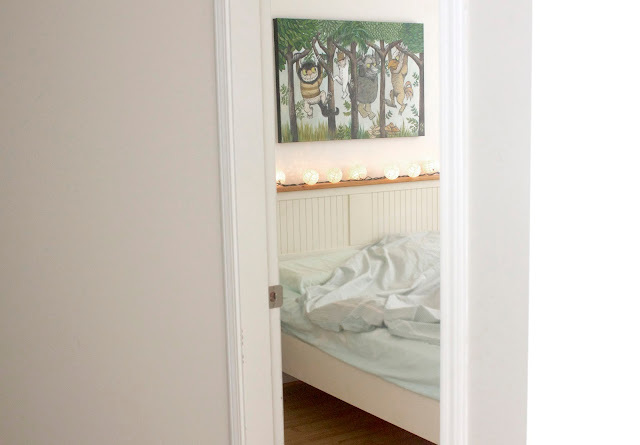 The painting above the bed is one of the first personal projects I painted since I have always loved Maurice Sendak's book "Where The Wild Things Are" and wanted to recreate a Wild Things painting of my own! Every morning, I try to find a few moments of peaceful solitude (usually accompanied by a steaming hot drink). I find that if I start the day off quietly and let my mind slowly wake up, I'm better equipped to handle the rest of my day. 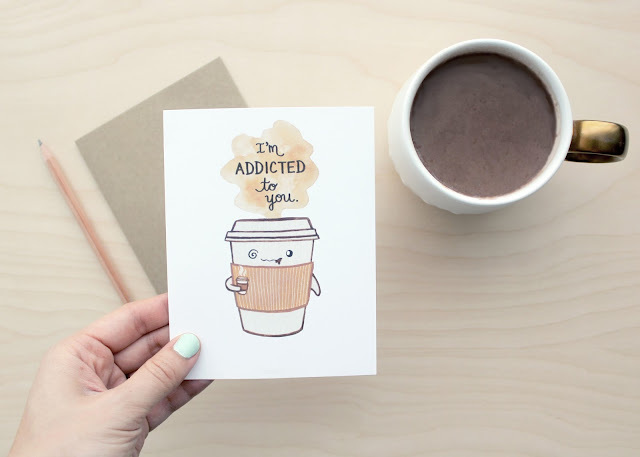 Here is one of my little characters from my series of Tea + Coffee greeting cards! 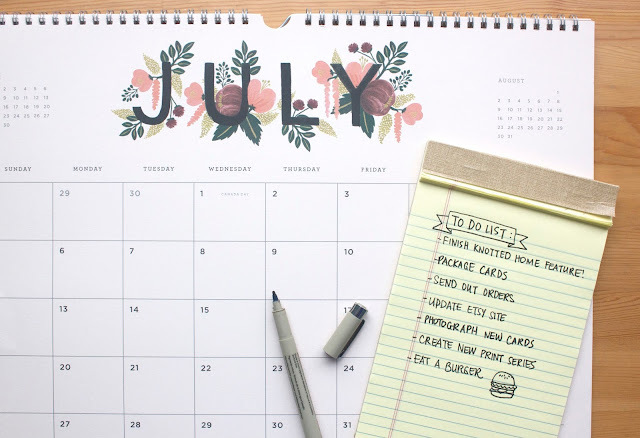 I'm always working on different projects so I try to make a list of things that I will tackle on a daily basis. This helps me stay organized too - otherwise my brain is all over the place and I can't focus on the tasks at hand. And of course, it's more satisfying to have a piece of paper where you can gratuitously check off each item on the list when it's done! If I have some orders for the day, I'll package the goods so that I can send them off to the post office later on. 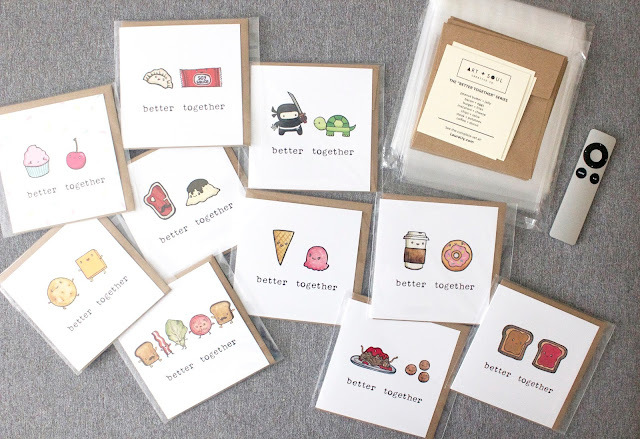 Here, I'm packaging a whole bunch of my "Better Together" cards with recycled kraft envelopes and cellophane bags. If I have a whole pile of cards to package, I'll usually put on some music or have Netflix in the background (Packaging cards and binge-watching shows come dangerously hand-in-hand). Recently, I just had my first experience selling at a local market in Vancouver! 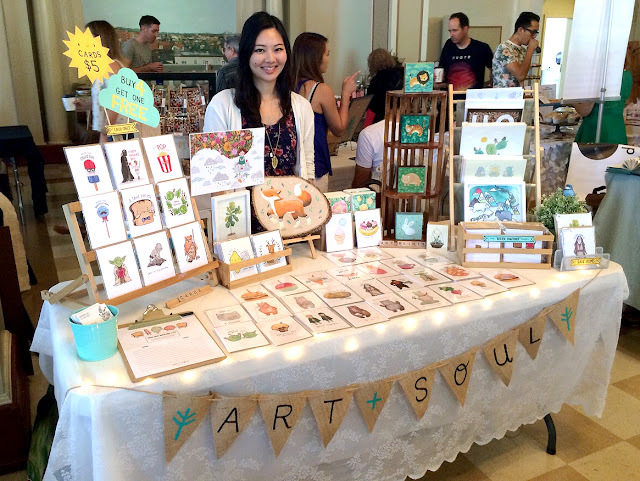 It was a lot of work preparing all the stock and designing the display (with cheap DIY hacks such as turning an art easel into a card display board and scouring local thrift stores for wooden boxes / decor items). But in the end, it was worth it because I met some really great vendors and it was great seeing my cards "in action" as people passing by would see them and chuckle at the puns. Aside from making, packaging, and selling cards, I also have a passion for creating art prints, especially for children's rooms and nurseries. 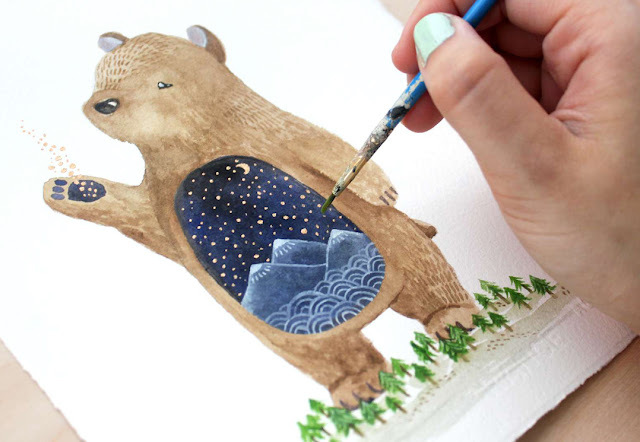 "Pabu The Spirit Bear" (shown above) was one of my first creations and continues to be one of the most loved. Being a self-taught artist, I rely heavily on emotions and feelings to dictate the way I paint instead of learned techniques. I'm pretty much a kid at heart so I think a lot of my paintings capture that playful positivity and child-like innocence. Being a freelance artist often means working on several projects at once and multi-tasking on a whole bunch of different things. I really enjoy the variety and that each custom painting I do is totally unique. 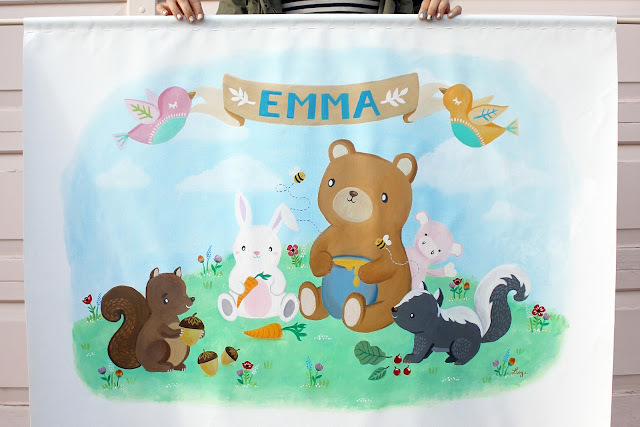 This is a large canvas banner I painted a few months ago for a lovely little girl named Emma, whose parents requested a whimsical gathering of forest animals (a sneaky little pig snuck in there too). Creating art for people brings me so much joy and I put everything I have into each piece. Relaxing with my husband and my bunny are what evenings are for. Sometimes if I'm really passionate about an art project and can't stop thinking about it, I will paint later in the evening (like from midnight til 3AM), but most nights I like to just set aside the evenings for friends and family. I'll definitely be selling my art at more upcoming local markets and events, so if you're in Vancouver you'll probably see me around. Plus, I'm going to be starting a large mural soon (based on this picture above) which is super exciting!!! In a few months, I'll also be participating in my very first gallery show with a whole bunch of talented painters, fashion designers, make-up artists, and other creatives. I have a feeling this is going to be a busy, busy summer for me! 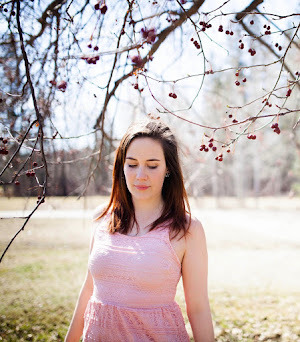 Thanks to Emily for letting me "take over" her blog and for giving me this opportunity to be a part of her awesomely talented group of artists in The Maker Series! I hope you guys enjoyed this little feature... let's keep in touch! If you would like to be a part of the Maker Series or if you know of someone who you think should be showing of their talents, please email me at knottedhome (at) hotmail (dot) com. The Maker Series is a place of inspiration, encouragement, and support to those who want to craft, create, or live a homemade lifestyle. This series is all about creating a comfortable and inspirational place in which we can showoff our talents and inspire anyone who has ever dreamed to start something new.